B.B. 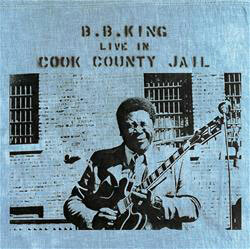 King performs for the inmates of Cook County Jail in Chicago, Wednesday, March 9, 1972. B.B. King, who died late Thursday at the age of 89, was from Memphis by way of Mississippi. But Chicago played a special role in the blues guitarist’s career. He held countless concerts and recorded three seminal albums here including “Live at the Regal Theater,” “Blues is King” and the iconic “Live in Cook County Jail.” That album came from an unusual concert before a &apos;captive&apos; audience. Winston Moore, the country’s first African American warden, was brought in a couple years earlier to institute reforms. In his autobiography, King writes that it was Moore’s idea for him to perform at the jail. Ron Levy was an 18-year-old keyboardist touring with King’s band then. However, once the music started, he said all their fears fell away. Levy said the band played lots of jails and prisons back then — for a good reason. When it was released the next year, “Live in Cook County Jail” topped the R&B charts for three straight weeks. Rolling Stone magazine includes it in their list of 500 Greatest Albums of All Time. But for Ron Levy, King’s legacy isn’t about record sales or charts.